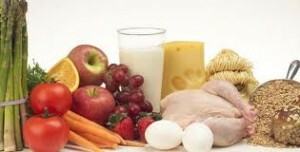 The nutrition degrees available are the associate’s bachelor’s or the master’s programs. Currently only thirty states mandate licensing for the nutritionist, giving those that reside in a state with no licensing requirements the option of taking the certification exam through the ADA. Here we will discuss the degree programs available and the different career opportunities for this field. A two year associate’s degree in nutrition will prepare students for entry level positions as a nutritionist or the student can choose to transfer their credits into a bachelor’s program. The associate program provides the basic skills needed to begin a career as a nutritionist. The four year bachelor’s degree features courses that are designed to prepare a student for a more demanding career and can qualify the graduate for supervisory positions. .coursework for nutrition degrees will include classes in foods, nutrition, chemistry, biology, physiology, biochemistry, and microbiology and institution management. The bachelor’s degree program will offer additional courses such as computer science, psychology, sociology and advanced meal planning. After graduating from a program there will be several different career paths to choose from, such as consultant dietician, management nutritionist, clinical nutritionist, lead facility nutritionist and kitchen manager. The clinical nutritionist will be responsible for providing nutritional services to patients in assisted living facilities, hospitals or institutions. Working in this field will require the nutritionist to create and implement special types of meal programs and require them to evaluate program results on a monthly basis, making adjustments when needed. Community nutritionists will provide counseling to individual clients or groups regarding proper eating habits and food alternatives. This type of counseling is intended to help prevent disease and promote a healthier lifestyle. As a community nutritionist you will work for health clinics, health maintenance organizations or health agencies. Management nutritionists will be responsible for overseeing meal planning on a larger scale for hospitals, cafeterias, schools, prisons and health care facilities. The consultant nutritionist is employed by private practices or health care facilities to perform nutrition screenings and counsel clients in order to improve their health. The master’s degree program is designed for graduates to become registered dieticians, also known as RD’s. To become a RD a student will need to take courses in various types of exercise, food and counseling. Students will learn how to create balanced meal plans, create menus and direct individuals towards better food choices. To qualify for this type of degree program the student will need to have their bachelor’s in nutrition from an ADA accredited program and will also need to have a background in science. Some schools may also require their applicants to have a college background in biology, chemistry, biochemistry or anatomy. The coursework included in a master’s program will feature classes in nutritional health, metabolic diseases, minerals, exercise, biochemistry, vitamins, botanical medicine, advanced dietician courses and health and hygiene. A master’s degree will qualify the RD to counsel groups of patients on different types of nutritional practices and can provide the following career opportunities: clinical dietitian, nutritional educator, community dietitian, project manager and management nutritionist.